It’s my sister’s birthday today! 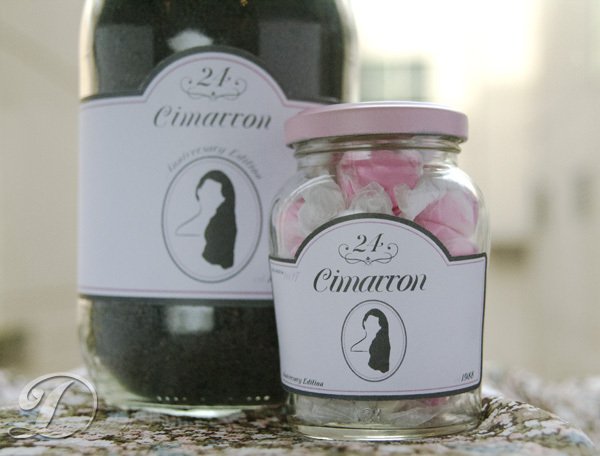 I have to run out shortly to have lunch with her, but first I thought I’d share the packaging I designed for her gift (you can’t really tell because we had to cram – and I mean REALLY cram – it into the jar, but it was a fun way to wrap up a sweater and some sweets. So, without further ado, here are the finished jars! What an absolutely fantastic idea! I love your creative mind! Love this idea Morgan! So cute!